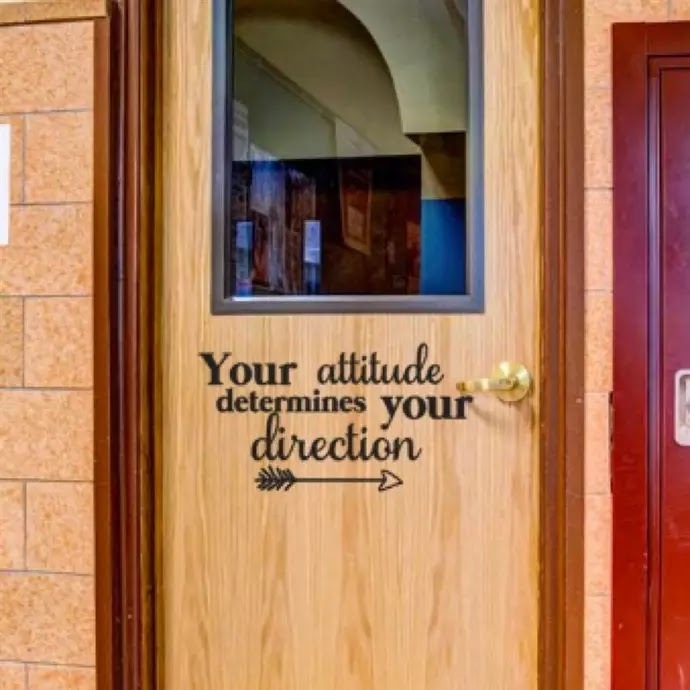 I LOVE these Large Classroom Door Decals for ONLY $9.99 (Retail $20)! Spruce up your classroom door and make it easy to find for students and parents! Choose from a variety of quotes, welcome signs or have your name on your door. 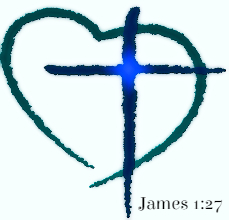 Deal includes one decal that will be approximately 24" in height or width depending on decal chosen. 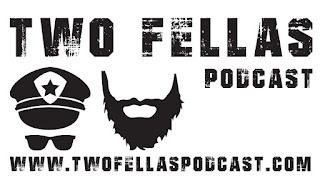 Largest decal will be no larger than 12x24 or 24x12. These decals are removable vinyl which means at the end of the year when it's time to take them down, it will not damage your door. The decals come ready to apply with instructions. 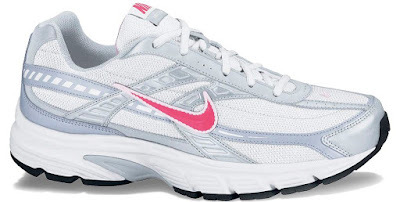 Right now over at Academy Sports you can score these Nike Men's or Women's Initiator Running Shoes for just $29.99-$30 shipped (Retail $39.99). These running shoes have flex grooves in the outsole to promote a natural range of motion. They also have supportive overlays to keep your feet locked down. 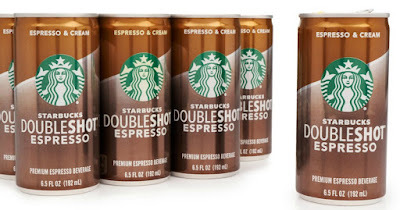 Head over to Amazon where you can score this 12-Pack of Starbucks Doubleshot Espresso + Cream 6.5oz Cans for just $10.12 shipped when you clip the 20% off digital coupon and opt to Subscribe and Save! That's just 84¢ per can delivered right to your door! Today only, while supplies last, Save 65%–68% on select Lifefactory water bottles! American Eagle Outfitters's Jeans Stock-up event! Take up to 35% off Jeans with code JEANSPLZ at checkout. 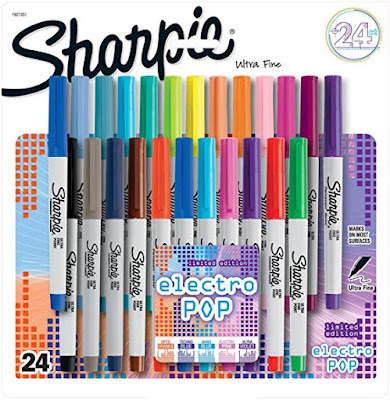 Get this Sharpie Electro Pop Permanent Markers, Ultra Fine Point, Assorted Colors, 24 Count on sale for $10 (Retail $32). 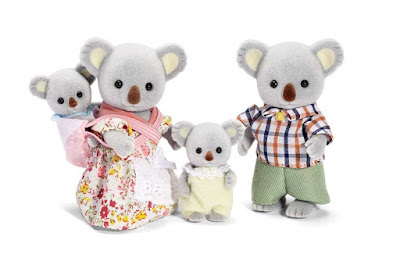 Head over to get this Calico Critters Outback Koala Family for ONLY $10.39 (Retail $24.99)! Mother, Sheila owns her own eco'friendly shop. Bruce is the leader of the Calico Village Environmental Awareness Society. Sister, Adelaide wants to start her own eco-fashion company when she grows up. Baby Brother, Joey is very attached to his Mother and loves playing outside. Calico Critters is a unique and adorable range of distinctive animal characters with charming and beautifully detailed homes, furniture and accessories. They live, work and play in an idyllic and wonderful place called Calico Village. 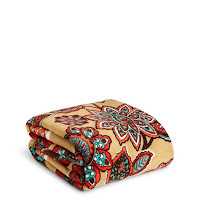 Head over to check out these Ultra Soft Long Cardigans for ONLY $17.99 (Retail $35.99)! Ultra soft and great quality this long pocket cardigan will be a go-to item all year long! 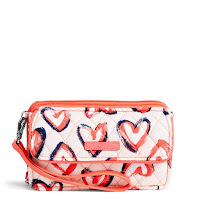 It makes any outfit pop with your favorite colors. For a limited time OshKosh B'gosh is offering $4.97 Polos. It's BACK! Right now Columbia Sportswear is offering Up to 60% off Select Columbia Styles with code COLHEAT60 at checkout. I could SHOP ALL day here! 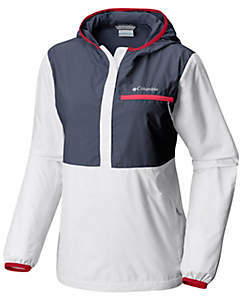 This Women's Mountain Side™ Windbreaker is $21.59 (Retail $60). Sizes and styles selling out quickly. 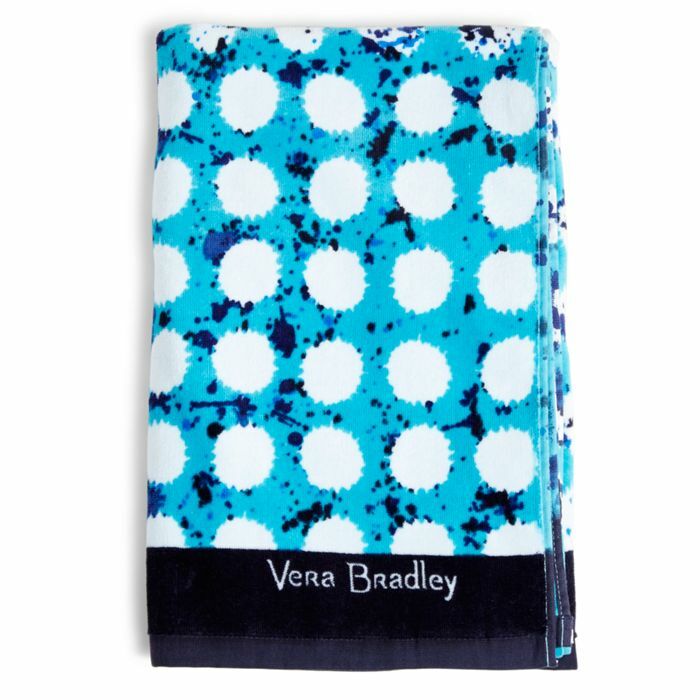 Right now Vera Bradley is offering Sunny Savings with 50% Off Select Patterns and Styles -LOVE these colors! 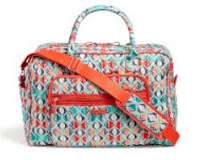 Free Shipping on $75. No coupon code. Ends 7/31. Head over to Amazon where you can score the Hatchimals Surprise Peacat Twins for just $39 shipped (Retail $69.99)! As another option, you can grab the Hatchimals Surprise Giraven Twins for $39.94. These Hatchimals Surprise Eggs hatch TWO super cute twin Hatchimals! Each one has its own unique personality and one twin moves while the other can repeat whatever you say. 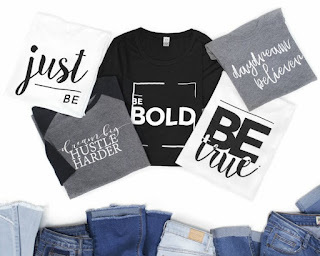 Today only at Cents of Style snag 2 Graphic Tees for ONLY $22.00 when you use code TUESDAY at checkout (Reg. 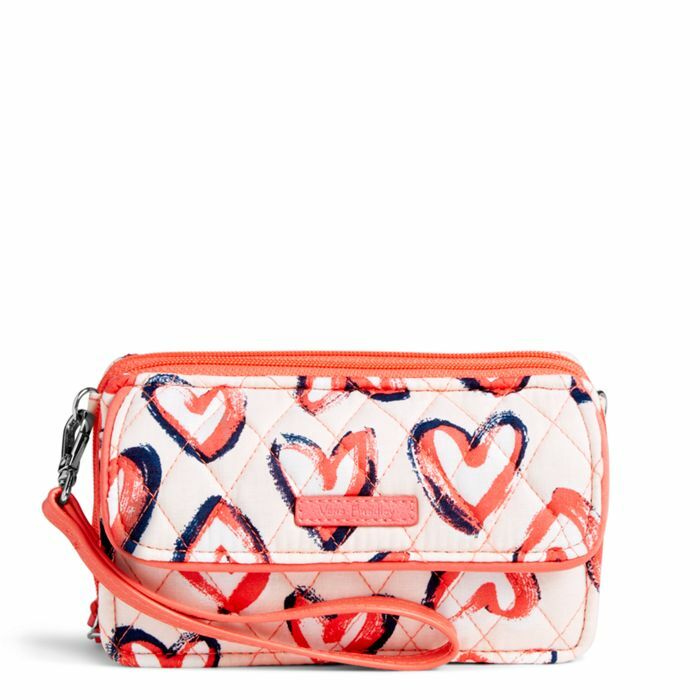 $19.95 each)! Shipping is FREE on this offer. Offer valid 7/31 only and while supplies last. 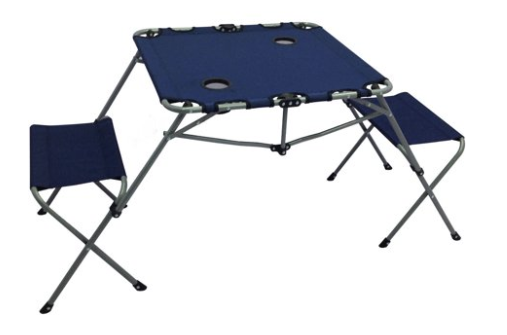 Hurry over to get this Ozark Trail 2-In-1 Table Set with Two Seats and Two Cup Holders for ONLY $16 (Retail $29). This is the lowest price it's been all summer! Choose free in-store pick up if available near you or score FREE 2-day shipping on any eligible $35+ order or pay $5.99 for shipping for orders under $35. Today only (7/31) Home Depot is offering up to 30% off Select Patio Furniture! 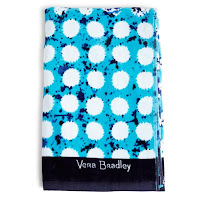 Choose from umbrellas, chairs, patio sets and more. 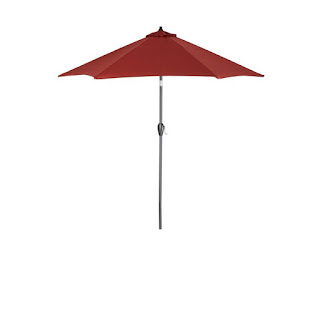 I am grabbing this Hampton Bay 9 ft. Aluminum Patio Umbrella in Chili now just $51.29 (Reg. $89.98)! See our full collection of Market Umbrellas to choose the best option for you. Shipping is FREE on this offer. In a recent study by COUNTRY Financial only 25% of Americans think adulthood occurs when people turn 18. 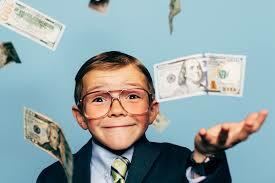 1 in 3 do not feel that adulthood begins until after they achieve financial independence at age 26! Though shocking sounding this is a reality many Millennials and their parents are experiencing. 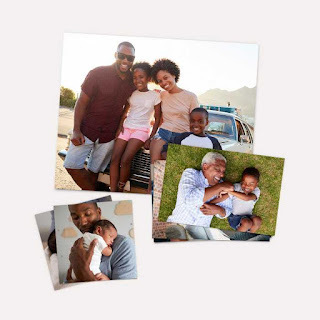 53% of Americans 21 to 37 have received some form of financial assistance from a parent, guardian or family member since turning 21, with one-third (37 percent) of them receiving money monthly and more than half (59 percent) receiving money a couple of times a year. Support has been given by paying for a mobile phone (41 percent), groceries and gas (32 percent), to more pressing life needs such as rent (40 percent) and health insurance (32 percent). As a parent what can we do? Making smart financial decisions may be one of the cornerstones of adulthood. When we enter in to a partnership with a financial advisor we are often looking for someone we can work over the life time of our financial future. Here are some signs that your financial advisor is not the right fit for you. They don't communicate with you. You are their customer. Your calls and emails should be returned in a timely manner regardless how much you invest with them. Surprise fees. There are fees associated with different kinds of investments and trading. Your financial advisor should go over all fees with you. They don't ask about your goals. This is your money and your future. A good financial advisor should listen to your aspirations and work to help you achieve them if possible. They don't listen. Again your money they are investing. In your partnership you and your financial advisor should be on the same page regarding risks and rewards and they do not judge your choices. Amazon A Risk To Our Privacy? It does seem like everything and everyone is after our private information..... and Amazon is no different. Here are a few tips from USAToday to help reduce the risk to your privacy while using Amazon. 1. Restrict Your Profile: When you sign up with Amazon your profile is created automatically. It contains comments, ratings, public Wish Lists, biographical information, and other interaction on the Amazon site. You can change your account settings by following the steps listed HERE. 2. Keep Alexa on Track: Listen and DELETE your recordings. Use commands that limit unintentional data sharing and create a PIN for access. 3. Delete Those Cookies: All websites track what, where and when you click (one of the primary sources for market research). Make sure you periodically empty out your browser history and cookies. Save some money on your Back to School shopping by taking advantage of the Arkansas Tax Holiday August 4-5, 2018. 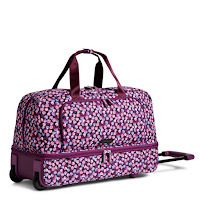 Items like school supplies, clothing under $100 dollars, some sports equipment area all TAX FREE. 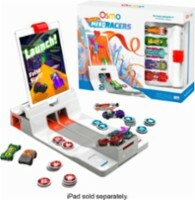 Online purchases are included in this as well. More info HERE. Hot deals come and go quickly. Never miss a deal when you sign up for FREE Saving in Little Rock HOT DEAL Text Alerts! *Links provided may be from affiliate programs which help support this blog. Thanks for clicking! For full disclosure policy click HERE. Want More? Follow our Saving in Little Rock Facebook or Twitter Page. 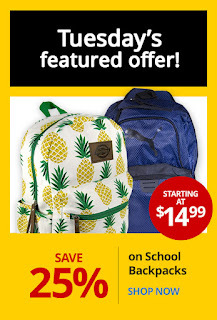 Hurry over to Office Depot|Office Max because today only you can save an Extra 25% Off School Backpacks! Prices start at just $14.99. Choose in-store pick up to save time and money. Offer valid 7/31 and while supplies last. My family LOVE these Nike Men's Club Fleece Jogger Pants for $24.99 (Retail $75) with code PZY2499 at checkout. FLEECE FOR THE WIN. 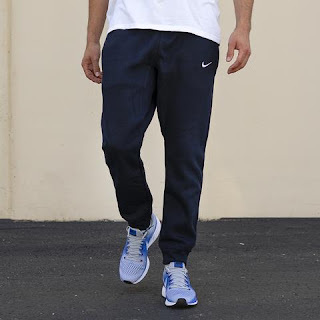 These Nike Men's Club Fleece Jogger Pants upgrade a high-speed, performance-inspired look with that warm, soft feel of brushed fleece and tapered legs for a modern look. 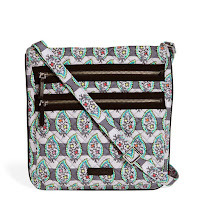 Head over to Zulily.com where you can save up to 50% off popular Aden by Aden + Anais products. 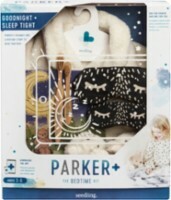 These baby products are made out of soft, breathable muslin and this sale includes bibs, bodysuits, swaddling blankets and more. 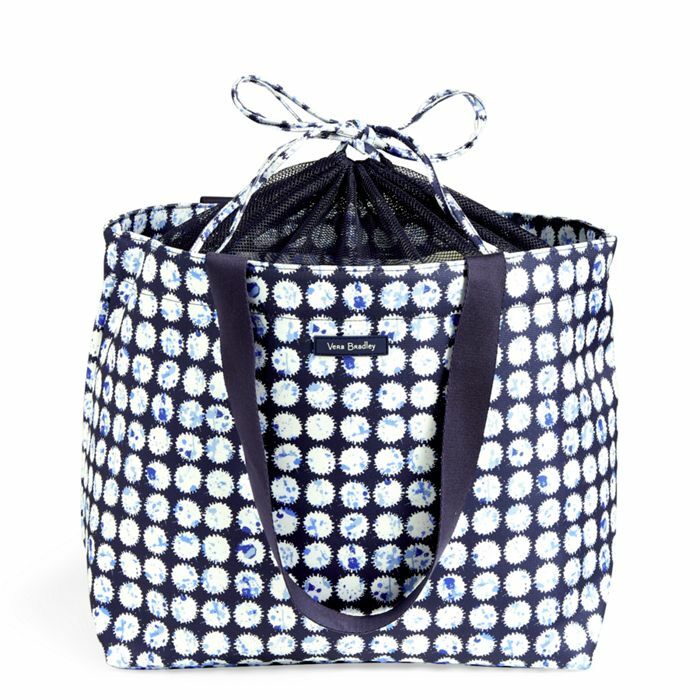 As just one idea, you can score this Aden by Aden + Anais Blue Star Swaddling Blanket Set for just $19.99 (Retail $34.95). There are four blankets in this pack, which means you are paying just $5 each! Loving it! Right now Nike is offering an Extra 20% Off Select Sale Styles with code HOT20 at checkout. 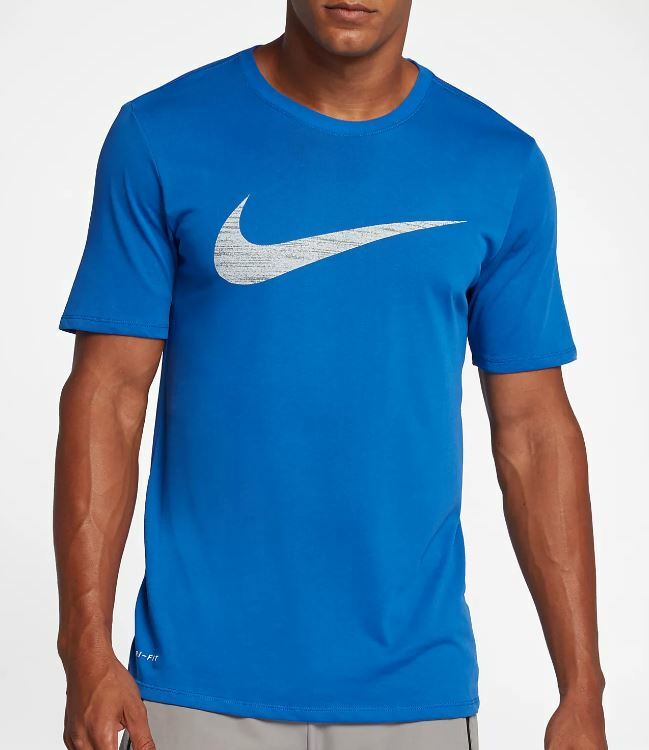 That makes this Nike Dry Swoosh Men's Shirt $15.18 (Retail $25). Hop on over to Best Buy where you can score this Bella Electric Spiralizer for just $19.99 (Retail $49.99). This spiralizer has four different blades to produce noodles of different thicknesses, and it fits vegetables up to 6 inches long, so you can use cucumbers, potatoes and zucchini. Even better, it includes a snap on bowl to hold your noodles! 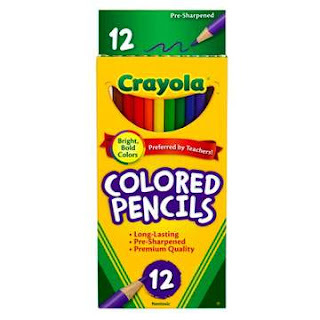 If colored pencils are on your Back to School list right now you can grab these Crayola Colored Pencils 12 Count for just $0.97 at Walmart. These are $0.99+ at other stores. 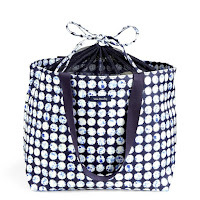 At Lands' End Receive 30% off Full Price Item, Plus FREE Two-Day shipping with code LEMONADE and pin 7123 at checkout. Wow! 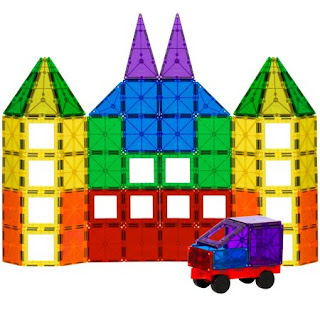 Right now this Best Choice Products 100-Piece Transparent Rainbow Magnetic Building Geometric Tiles with Wagon and Carrying Case is just $44.99 (Reg. $129.99)! Shipping is FREE. Prices can change anytime. 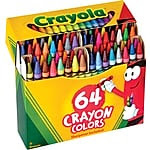 Wow right now at Staples this Crayola® Crayons 64 Count box is just $3 (Reg. $5.99)! Choose in-store pick up to save time and money on shipping. Offer valid until 8/4 and while supplies last. 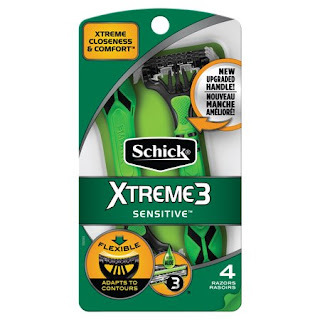 Right now over at Coupons.com you can print this new $4/1 Schick Disposable Razor Pack (excludes 1ct, Slim Twin 2ct and 6ct) coupon. 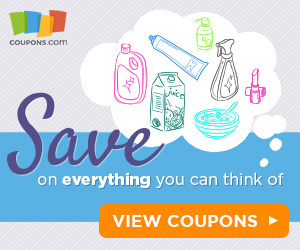 Print out your coupon now and take it with you to Walmart to score some great deals! Today only Cents of Style is offering their Best Selling Dresses are 40% Off when you use code STEAL40 at checkout! Shipping is FREE on this offer. Dresses regularly $39.95! 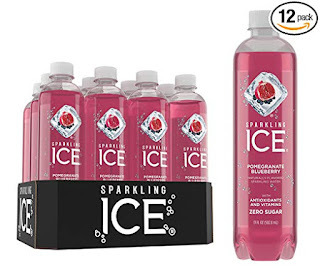 Hurry over to Amazon to score this 12-pack of Sparkling Ice Pomegranate Blueberry Sparkling 17oz Water Bottles for only $9.29 shipped as an add-on item. That's just 77¢ per bottle shipped right to your door! Today only this Nokia Body Cardio Wi-Fi Smart Scale is just $89.99 (Reg. $149.95)! 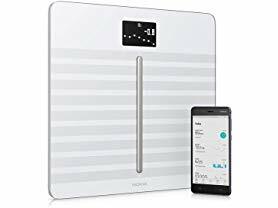 The Nokia Body Cardio scale tracks weight, body composition (body fat, water %, muscle & bone mass), BMI and standing heart rate. All data syncs to the Nokia Health Mate app where you can view trends, set goals, and find extra motivation. Valid 7/30 only. Shipping is FREE for Amazon Prime Members or only $5 flat rate. 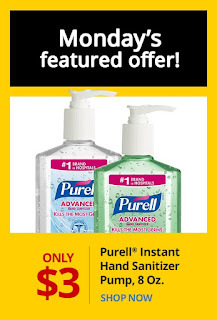 Today only Office Depot/Office Max is offering this Purell® Instant Hand Sanitizer Pump, 8 Oz. 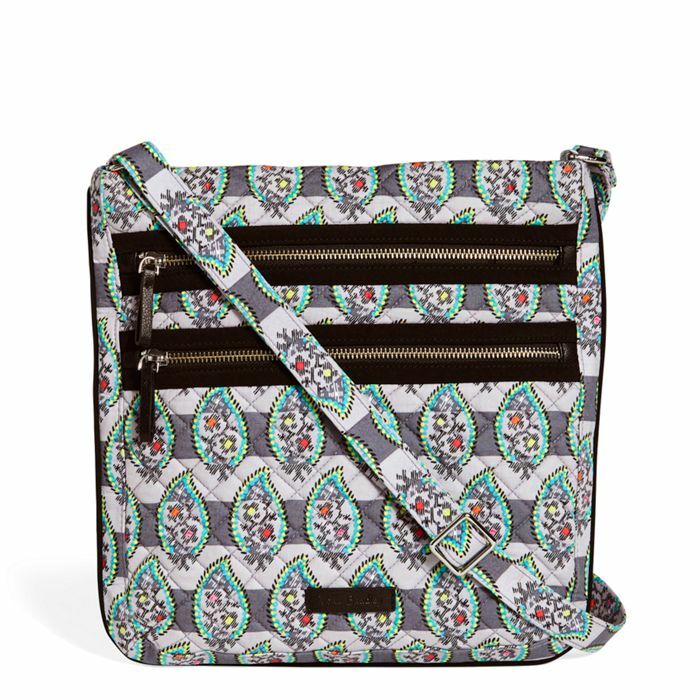 for just $3 (Reg. $4.29)! Shop online and choose free in-store pick up to save time and money! 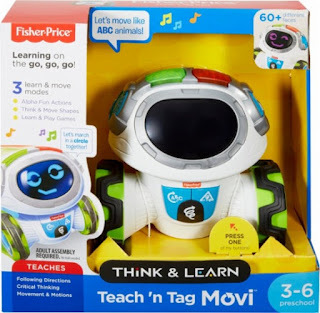 Today's price beats is better than current pricing on Amazon! Offer valid 7/30 only and while supplies last.